This collection includes all four volumes of The Best of Cartoon Carnival. 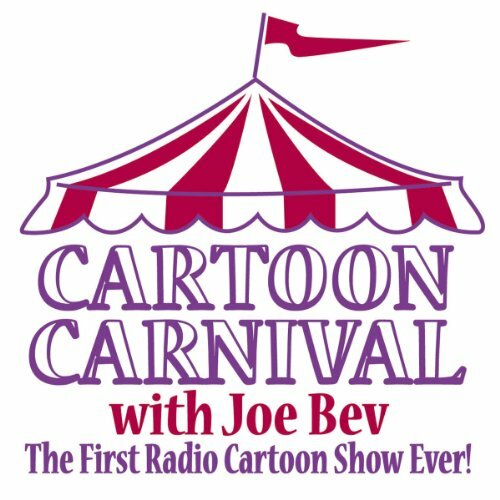 As the protégé of cartoon voice legend Daws Butler, veteran award-winning broadcaster Joe Bevilacqua is no stranger to the cartoon world. From Mel Blanc to June Foray, from Disney to Hanna-Barbera, Cartoon Carnival is a lively hour of rare and classic cartoon audio, children's records, cartoon music and sound effects, new radio cartoons, interviews, and mini-documentaries about the wonderful world of animation. Just a small sampling of the delightful characters you'll encounter in this must-have audio includes Yogi Bear, Huckleberry Hound, the Flintstones, Quick Draw McGraw, Rocky and Bullwinkle, Popeye, Bugs Bunny, and Daffy Duck. There's fun for the whole family!